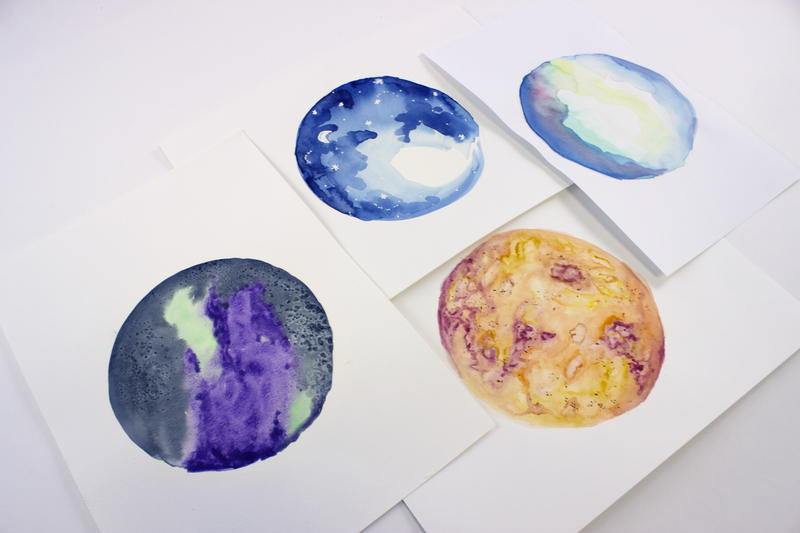 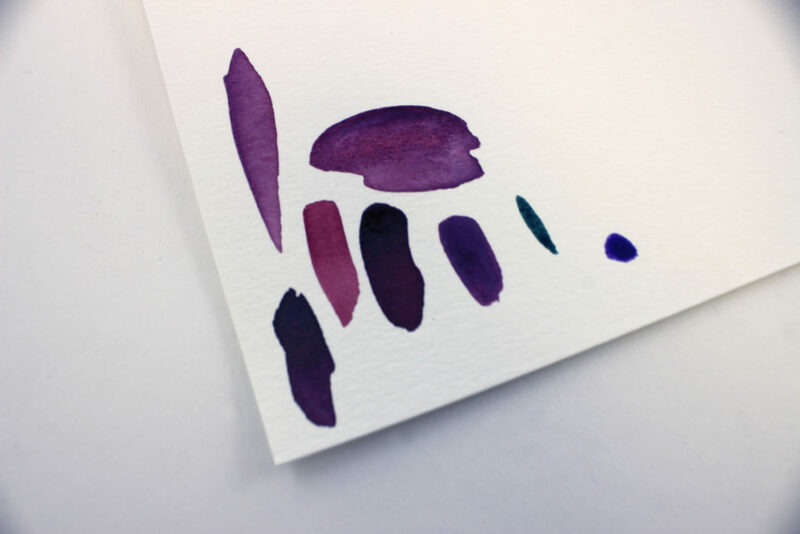 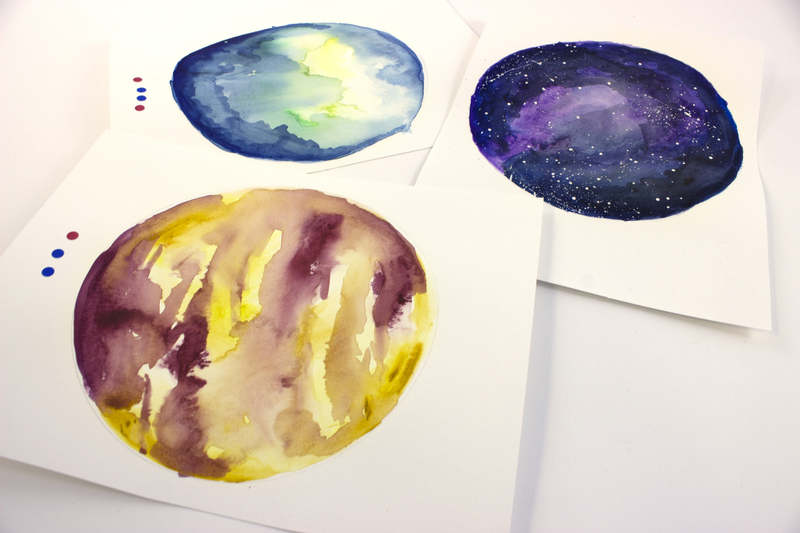 After discussing a number of potential themes – from space graphics to hand-lettered inspirational quotes – we landed on watercolor moons. We cleared our own calendars for a morning of watercolor painting and team bonding. 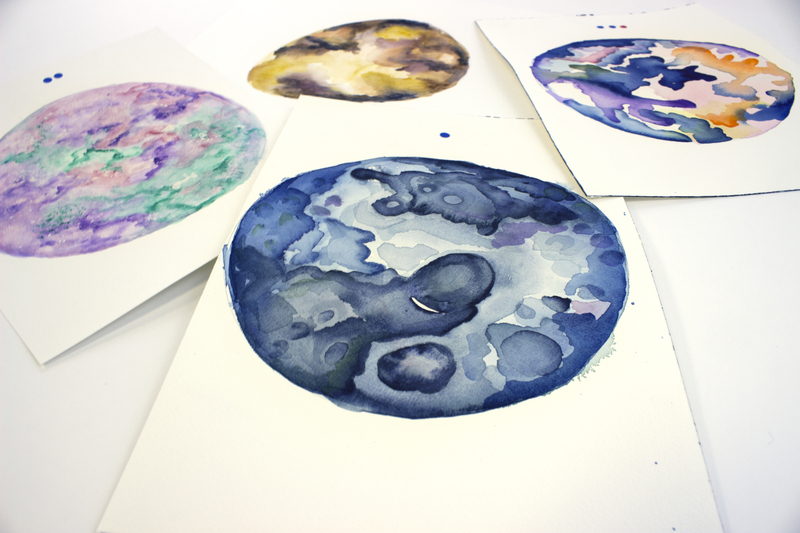 Each of us continued to paint and refine our moons over the next few weeks whenever we had time. 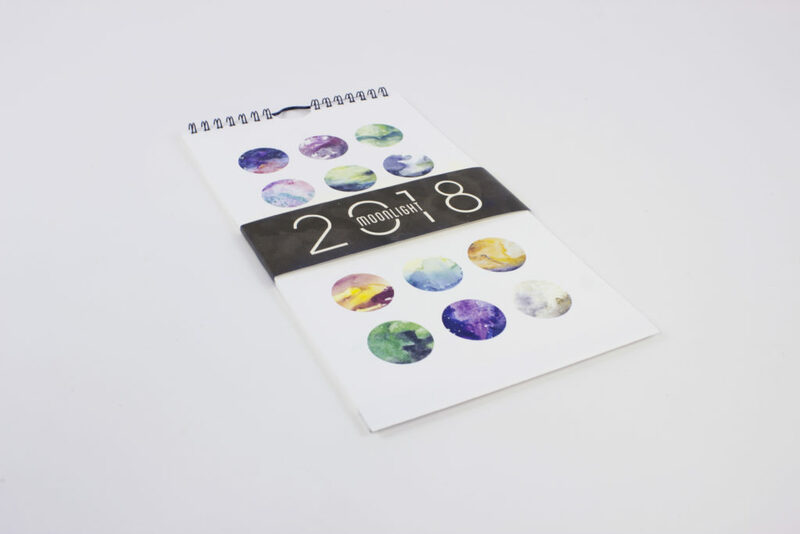 Once we completed the moons, we voted for our top twelve using stickers to mark our favorites (it wasn’t easy). 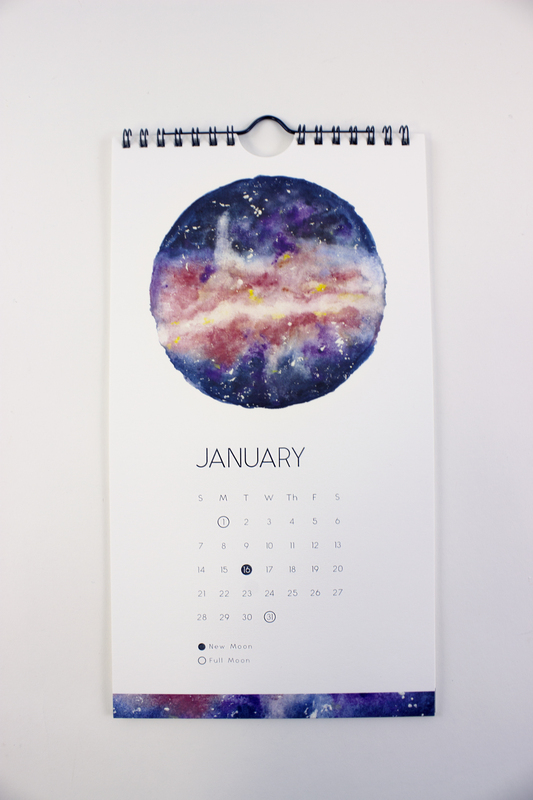 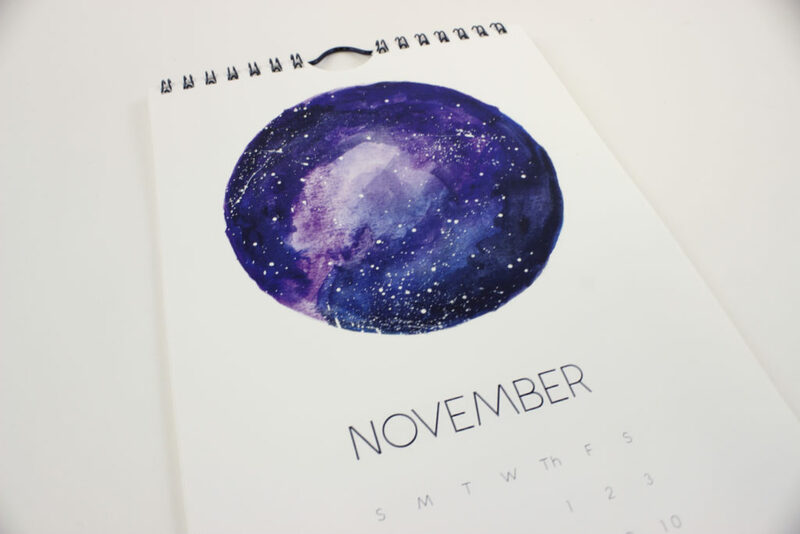 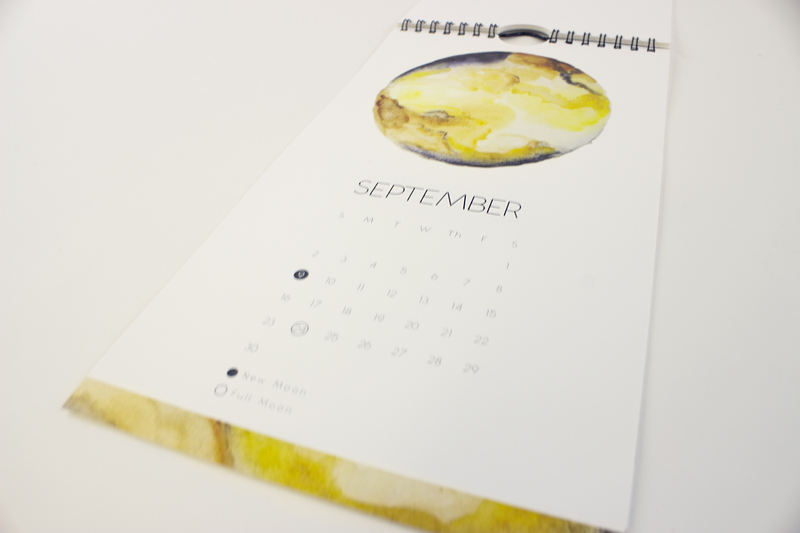 We then created a simple yet elegant calendar layout with a fun detail: markings for the new and full moons in each month. 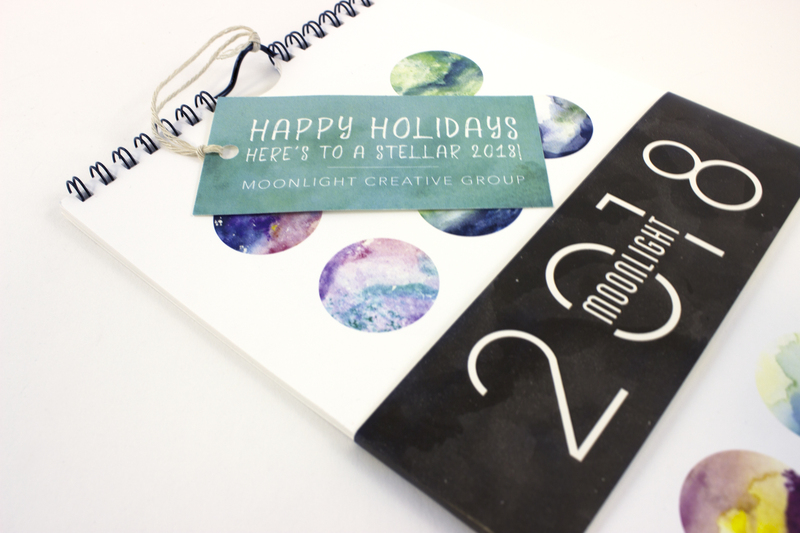 Finally, we designed the packaging and gift tags and formed a moon crew assembly line to pack, label and deliver the calendars.